" ON THE MENUE. or THINGS ARE AWFULLY HIGH " ~ Elvgren(TM). It's lunch time at the local diner! Commercial application? I own the Elvgren brand, IP and have a large art archives so you can license from me. Want an original painting of this? I can paint this or customized for you on a custom request for you, include your wife or GF, shop, business or? JUST ASK! One of only 15 ap exclusive Giclee offered! THIS IS A PROMOTIONAL PRICE! This fine art print is of the highest quality ! Enjoy this at a fraction of the cost of gallery pricing. This is a fine art limited edition signed and numbered. Daniel Vancas is listed as a Vero I.P. Property Rights Owner with E since 2001. 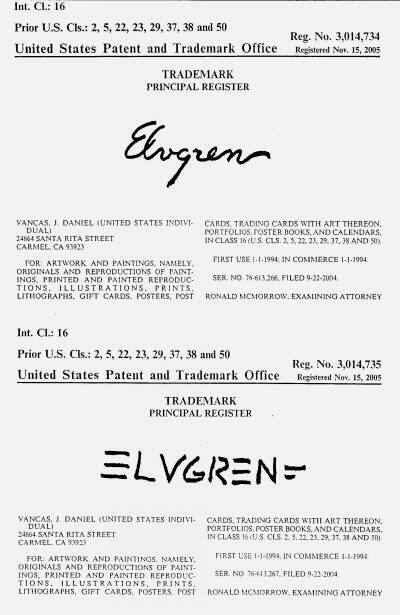 His Elvgren TM has been approved and accepted as the separate ownership of Daniel Vancas, as agreed with B&B in permanent and final agreements which were made order and recorded in Federal Court March 2001. 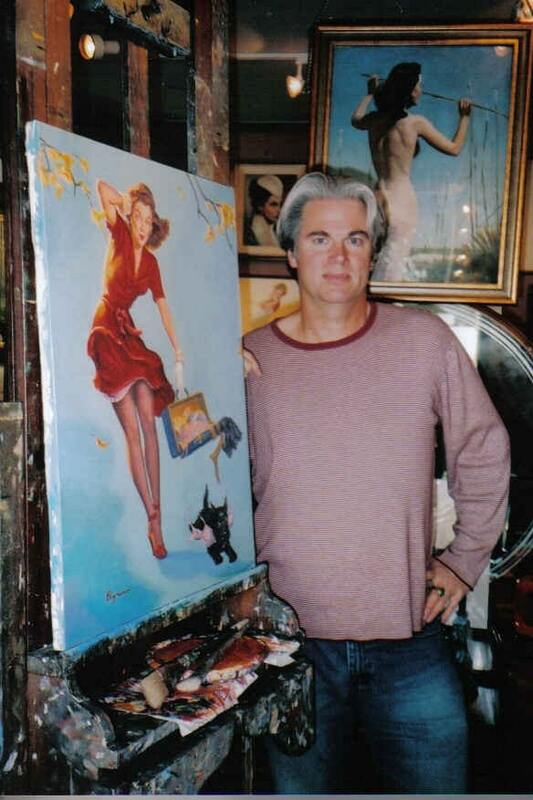 Per this order licensee's or their 3rd parties of B&B, such as art dealers, authors, book publishers may NOT disrupt, slander Mr. Vancas art business and\/or I.P. (Which includes this auction, slander on his name and products, his lawful trademarks and derivative artist copyrights on apx 130 Elvgren images, paintings, prints etc.) This being said this mark was reconfirmed and re-issued by the Federal Trademark and Patent Office, after they LOST (due to unknown internal loss or theft) Daniel Vancas' 5 year filing and use statement along with a major portion of his original TM files. There was not cancelation of registration for any other reason. Because of his documented confirmations, use and supporting court order, the TM registration was promptly re-issued to Daniel Vancas.